As big an event as it is, there’s a lot going on this year so it’s getting sort of buried: 2017, now, today, is when antibiotic resistance is a huge wall to treatment. Time to get informed, and make sure you’re taking care of yourself, including having some immune supporting colloidal silver. Antibiotic resistance has been talked about for decades. MRSA, CREs, and CRKP are just some of the ones you may have heard of as they spread through hospitals, nursing homes, and out into the everyday world. They’re common skin infections, pneumonia, and other forms of infection. They are carried by the old, the young, the healthy, and the sick. 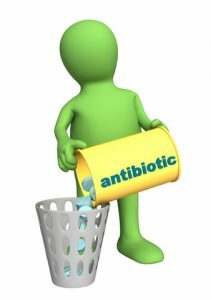 Now, hospitals are seeing patients with infections that can’t be treated by any of our current antibiotics. The good news is that while the antibiotic genes can spread between bacteria, for whatever reason, it’s been slow going. Not long ago, a bacteria was first discovered in China that was resistant to our last, most powerful line of antibiotics; then we started looking and it turned out it was in almost every country, but since then, there have only been a handful of cases. Even with all the computer models, predicting infections is like predicting the weather. We can see the antibiotic disaster coming, but it’s just a bit of luck holding it back. In nursing homes, testing patients for superbugs can help control and prevent outbreaks. Everywhere, handwashing is key. In this case, it’s not just that prevention is better than a cure, there is no cure, so prevention is everything. We had a couple generations where handwashing and hygiene were less serious, but they’re now literally lifesaving! We’re all used to a high health standard, and prevention is key to maintaining that. All those health basics you’re probably sick of (exercise, sleep, nutrition) now have more meaning than just general comfort and physical appearance. Immune system strength and health is going to be more important than ever as we’re left without antibiotics when we need to fight off an infection. And now’s the perfect time to make sure you’ve got plenty of immune supporting colloidal silver.